You are here: Home / Job seeker toolkit / Study / What’s your learning style? Everyone does things differently, and this is especially true for learning styles. When approaching study, some people may create flashcards and quiz their friends. Others might be found furiously re-writing textbook chapters, re-watching lecture recordings on fast forward, or even creating rhymes to remember the information. While all of these are valid styles of learning, some may work better for you than others; a size four shoe is not going to be very comfortable on a size seven foot. Over the years, scientists and psychologists have developed a number of different learning styles to better understand the ways that people learn. One of the most popular theories is the VARK model, which identifies four primary learning styles – visual, auditory, read/write, and kinaesthetic. These learning styles cater to different sets of characteristics, preferences, and attention-spans. Where people with a visual learning style can be found watching videos or colour coding notes and flow charts, those with a kinaesthetic learning style might learn best when moving, tapping their pens on desks, or engaging in hands-on exercises. EPIC Assist (EPIC) has prepared a helpful guide to the VARK model to help you understand what your learning style is and how you may learn best. 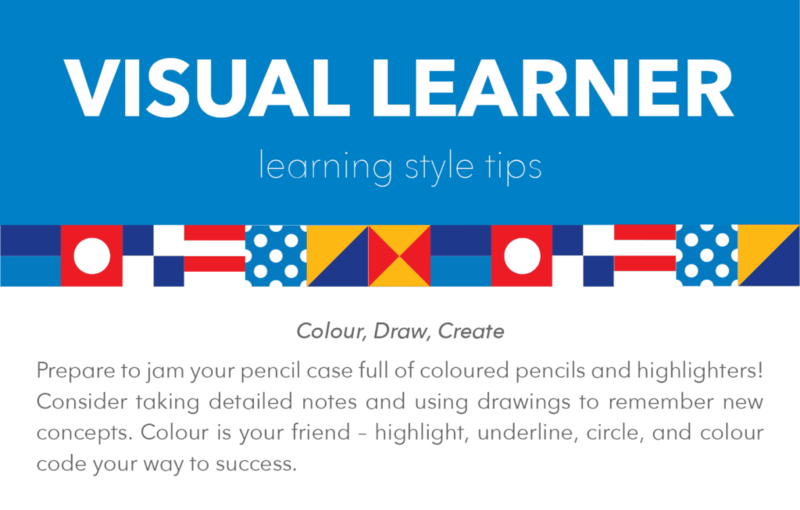 People with a visual learning style prefer to visualise information and the relationships between ideas. They learn by seeing; colour, diagrams, flow charts, and pictures – this is their medium. If you find yourself gazing around for something to watch or look at when you become bored, you may be a visual learner. Many visual learners find spoken direction hard to remember or concentrate on. Accompanying audio with visual material, such as a video or presentation, is a great way to learn and stay engaged. 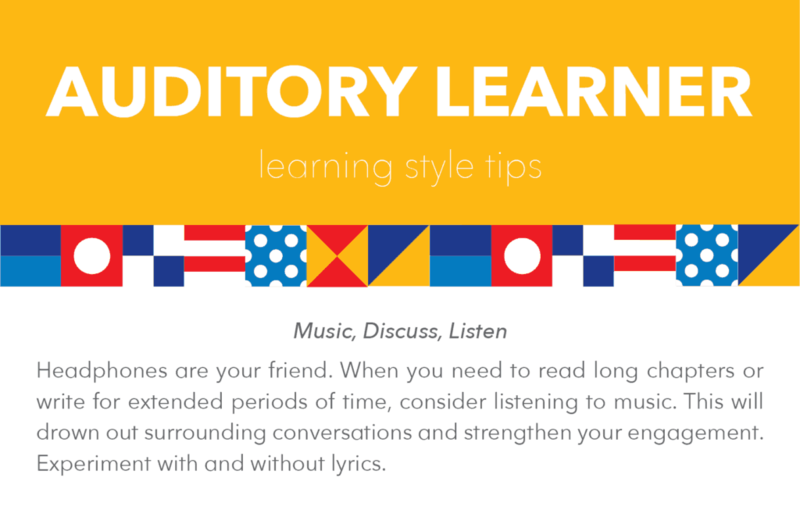 Auditory learners prefer to hear information rather than seeing or reading it. They can often be found reciting or chanting information out loud to help them remember it. This style of learning is best supported through open group discussions that offer the opportunity to discuss new ideas and activities. If you are an auditory learner, you likely have a knack for talking slowly and presenting. You probably love music and are good at remembering conversations and the words to songs. Many auditory learners find outside noise a large distraction. You may find yourself listening to other people’s conversations and eavesdropping instead of working. Read/write learners are strongest when they are interacting with text. It is most productive for them to read along with presentations and even complete written quizzes – this offers them the opportunity to write down what they have learnt. If you love to read and are big on scribing detailed written notes, you may be a read/write learner. Many read/write learners find diagrams and disorganised presentations overwhelming and difficult to follow. 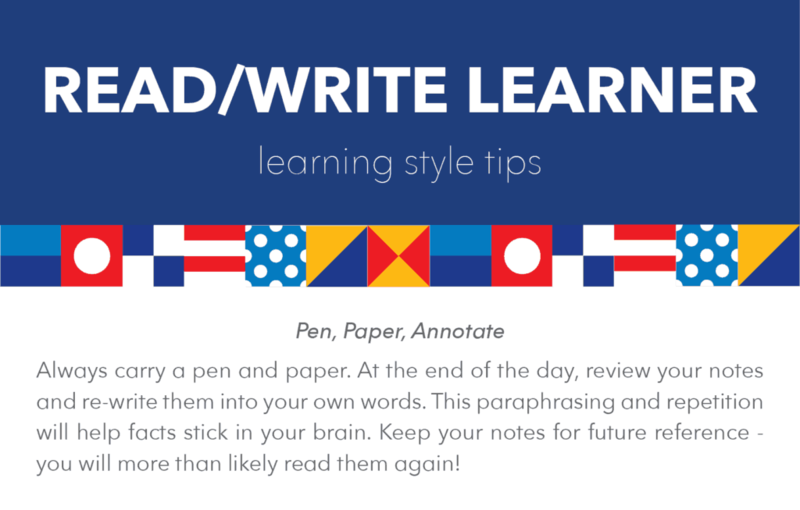 In this learning style, it can be powerful to translate visual information into written text through annotations. People with a kinaesthetic learning style are hands-on students who learn best by doing and experiencing. If you’re a kinaesthetic learner, you may thrive in active exercises and prefer to move, build, touch, and do the task for yourself, rather than listening and watching. 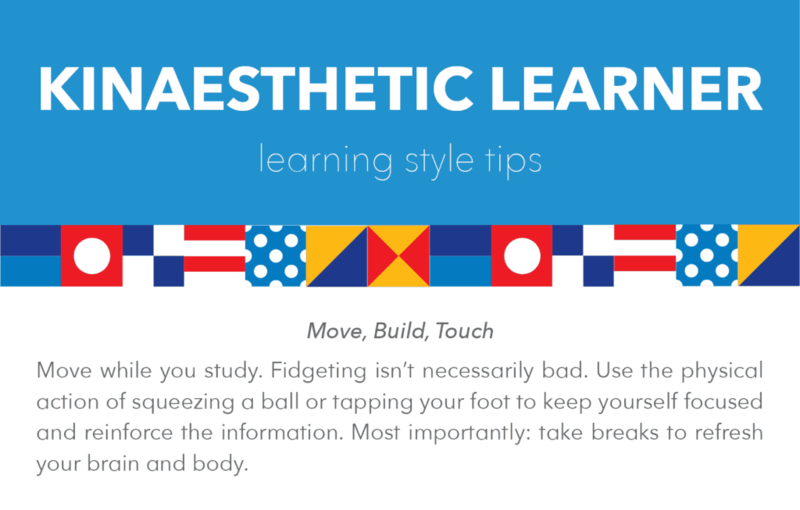 If you find yourself fidgeting and itching to stand up and try things, it might be a clue that you’re best suited to a kinaesthetic style of learning. Kinaesthetic learners often find it difficult to sit still and pay attention to long lectures. Words, sounds, and pictures may blur together and become a jumbled mess within your brain without physical reinforcement. Do you think you have characteristics from more than one learning style? You may be a multimodal learner. There’s no rule that says you must follow a single learning style to the tee. Experiment and find out what learning style tips and techniques work best for you in different environments. You might also be interested in some other EPIC study tips such as the importance of lifelong learning on mental health and how to improve productivity.